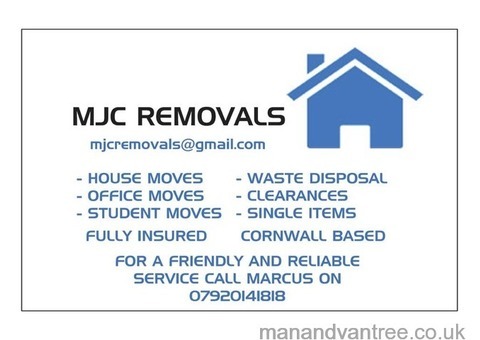 We are a small Cornwall based removal service that offers a friendly, flexible and reliable service to ensure your removal needs are met with the least stress possible. 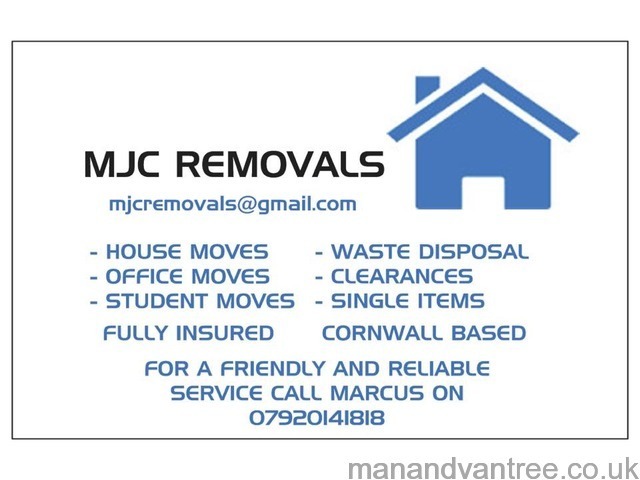 We offer house removals and clearances, single item removals, student and office removals as well as a full packing service and a dismantle and reassemble service. We can offer all equipment necessary for your move to make it a smooth and stress free experience. We have all insurances in place which can be viewed for your piece of mind. Please do not hesitate to contact us with any queries or for a quote. No job is too small for MJC removals and we are happy to help.